Neste, the world's leading biofuel producer in the circular economy, is putting a large amount of resources into research on waste and residue raw materials. In addition to biofuels, also bioplastics can be produced from waste and residues in the future. The company is also focusing its raw materials research on waste plastics as a substitute for crude oil in the manufacture of oil products. The idea of "one's waste is a valuable raw material to another" is central to the circular economy, and, for over a decade, it has inspired Neste's development and production of renewable fuels. The company already produces enough Neste MY Renewable Diesel, produced of waste and residues, to power more than two million cars for a year. This will enable Neste's customers to reduce their greenhouse gas emissions by almost 7 million tons this year. Underpinning this progress is the company's patented NEXBTL technology for refining low-quality waste fats into high-quality, fully renewable fuel. The same technology can be used to produce other renewable products also, such as renewable aviation fuel and raw material for bioplastics. "In practice, our business, based on renewable products and circular economics, is eating away at our traditional business operations. This is a sacrifice that many did not believe in at first," says President and CEO of Neste, Matti Lievonen. "But when it comes to the question of what kind of planet we will leave to future generations, the transition to sustainable lifestyles cannot be held back." Fat-containing wastes and residues currently account for nearly 80 percent of the raw materials of Neste's renewable products. 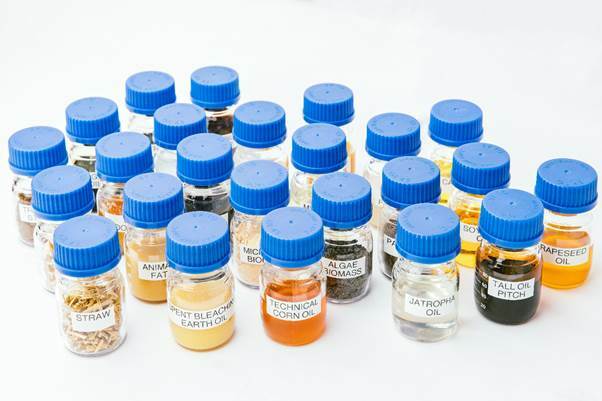 Examples of the raw materials Neste uses include waste fats from the meat and fish processing industries, and used cooking oil. However, the situation in a decade's time may be very different, as the waste and residues that are currently used by modern refineries are limited. Neste is investing a large amount of resources in research on renewable raw materials. The primary aim is to find increasingly lower grade waste and residue raw materials that have no other significant uses. Already 80% of the production of our renewable products is based on waste and residues.